The Blue of the Night turns the spotlight on singer songwriter Luka Bloom, who joins Carl Corcoran live in the Blue room for tunes, chats and choices. Irish singer songwriter Luka Bloom spoke to Geoff about his new album Frugalisto. On this week’s podcast, Luka Bloom joins Róisín Ingle to talk about his latest album Frugalisto which he takes on the road later this year. He also performs three songs live with some special-guest vocals by Róisín on the track Sunny Sailor Boy. This month, Irish folk artist Luka Bloom returns to Australia for his 12th national tour. Speaking with Luka Bloom is a lesson in storytelling at its finest. Legendary Irish folk artist Luka Bloom has confirmed he will be returning to Australia next February for a headline tour in support of his forthcoming album, Frugalisto. The whole purpose of songwriting is about communicating with people. Luka Bloom: With just a guitar, balladeer Luka Bloom has won over Australian audiences. farewell to the late great Christie Hennessy who has been laid to rest in the town he loved so well. Puff 'n' Stuff - Everything that's happening in Adelaide this fortnight. realising her life goal to play in New York and gaining the confidence to talk to the audience. 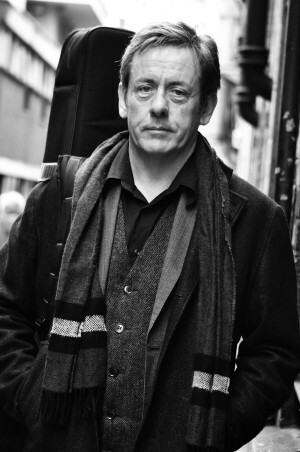 Irish musician, Luka Bloom explains the inspiration behind his 10th album release, 'Innocence'. Moore Brothers join the Irish Rugby Team! Luka Bloom - Amsterdam - Dutch Treat! Fans early morning queue for tickets to hear Christy and the brother play! Luka Bloom: Songs from Salty Heaven - "...With a Pinch of Salt..."
The Records - Album of the Week: Luka Bloom: "Salty Heaven"
I never heard the melody, till I needed the song.